Something insidious happened, while I wasn’t paying attention. The Christmas jazz racks have been invaded by Dark Forces. When it came time once again to gather the albums for this annual round-up, I discovered, to my intense displeasure, that it’s no longer possible to have any reliable expectation of what’ll be found in the bins marked HOLIDAY MUSIC/JAZZ. Time was, when you said “jazz,” people knew what you meant: classic big band stuff (Woody Herman, Stan Kenton, Duke Ellington); swinging trios, quartets or quintets (Oscar Peterson, Cal Tjader, Marian McPartland); the “new wave” crowd (Miles Davis, John Coltrane); smooth pianists (Ellis Marsalis, Andre Previn, Vince Guaraldi); the new young Turks (Wynton Marsalis, Marcus Roberts, Joshua Redmond); and several sub-categories I’ve no more room to cite. The list goes on and on and on, but all these folks deliver a certain sort of sound that displays genuine talent, true rhythmic chops and — generally — some swing, darn it. Unfortunately, as a result of two trends — the success of Windham Hill’s signature sound, and the revival of lounge music — “jazz” has been co-opted as an all-encompassing designation that includes everything from monotonous synth garbage to puerile schlock so far down the E-Z listening scale that even Sacramento’s KCTC, back in its “Classic Hits” days of the 1970s, might have thought twice before programming such junk. Last year, I was overwhelmed by all the great stuff Santa made available for my holiday jazz library, from Christmas with the George Shearing Quintet to Etta James’ 12 Songs of Christmas; from McPartland’s grand solos and duets on An NPR Christmas to Rob McConnell and his Boss Brass’ simply smashing Big Band Christmas. For that matter, Diana Krall’s three-song EP, Have Yourself a Merry Little Christmas, displayed not only that lady’s sublime talents, but perhaps the best production values I’ve ever encountered from an album. I had to work hard to find even a few albums that deserve whole-hearted endorsement this year. To be sure, several others won’t embarrass you, should they be on the player when company drops by ... but you’ll need to wade through a lot of fluff and outright drivel en route to making those purchases. 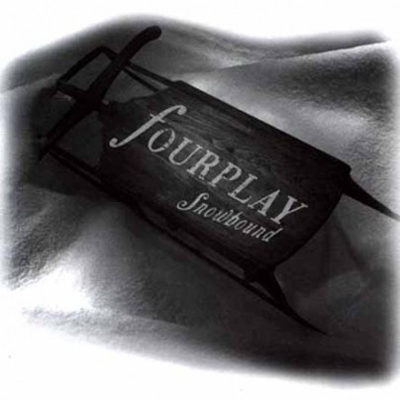 Let’s start, for no particularly reason, with Fourplay and Snowbound (Warner Bros. 9 47504-2). The group consists of Bob James (keyboards), Larry Carlton (guitars), Nathan East (bass and vocals) and Harvey Mason (drums). I approached this one guardedly, remembering Carlton’s 1995 album, Christmas at My House, which while occasionally enjoyable veered too often into the realm of sickly sweet. Aside from two more good cuts — “Away in a Manger” and “ Christmas Time Is Here” — the rest of the album is eminently forgettable: too much background synth crap and la-la-la chanting. Call it humming, warbling or shading, I still hate it.